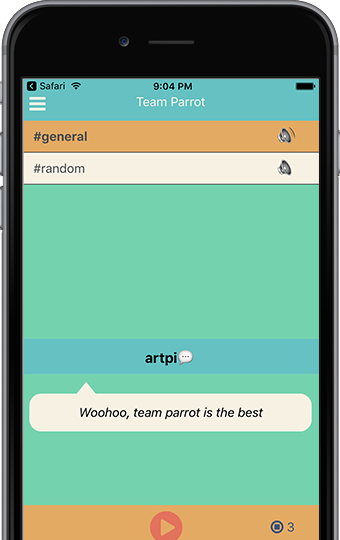 TeamParrot - listen to your Slack messages. Listen to your Slack while you do awesome stuff. Stop looking at your screen. Listen. 5 Different voices for your coworkers. Now your coworkers speak in up to 5, randomly assigned heavy-accented voices. Irish, British and a South African join your channnel. Sounds like a joke? Well, it's fun. 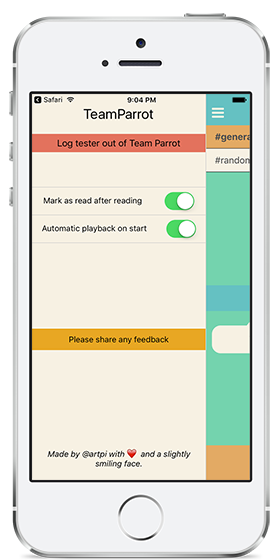 You can set TeamParrot to automatically play all unread messages when you launch it. Just ask Siri to "Open TeamParrot" for full hands-free experience! Your read messages are marked in Slack so you can pick up where you left off. 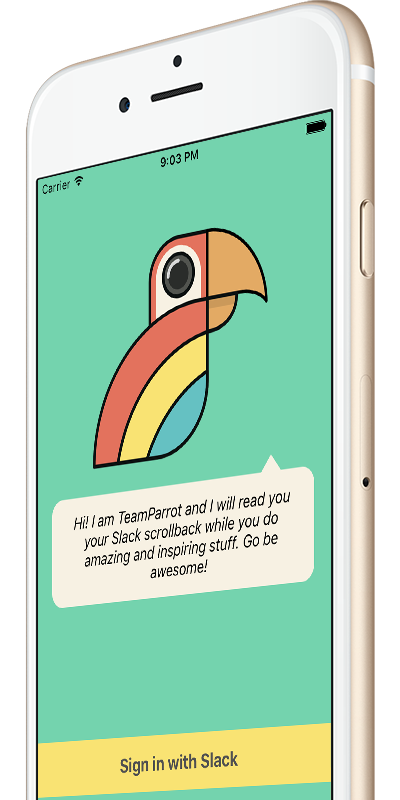 If TeamParrot reads only a portion - you will see the rest as unread in desktop or mobile app. Totally, 100% free, without ads. I built this to learn React Native. I work in a distributed company so every day brings a fresh wall of scrollback to go through. Keeping with every channnel is not possible, but even getting a vague sense of what's going on can help a lot. Being an optimization afficionado ( I hear that's what we call weirdos now ), I like to squeze as much as possible in every minute. Now I can listen to my coworkers while driving, having a walk or washing the dishes. Plus I really want to learn React Native ( the underlying technology ). My coworkers now have randomly-assigned voice. I find it funny. I work from home and I can get the watercooler chatter this way. It's sad and comforting at the same time. Wow, now I can wash the dishes or walk the dog while listening to my coworkers! He always seems to follow our Slack channels. I don't know how he finds the time! That is awesome, but who will use that? I like to read on screen. Subscribe for early access and engineering story. I will personally email you when app is in App Store(s). I also plan to share full React Native engineering story, so stay tuned !